Here in Philadelphia, there are trees and then there are trees. On this particular day, I was hunting for the first kind of tree. It goes by the name of mountain laurel. It’ll never be the biggest tree in the woods. It’ll never be the kind of tree that shows up on the nightly news but I’ve been on the lookout for mountain laurel for weeks now. I’ve been trying to catch its flowering, which I’ve heard is spectacular. …typical of the mountain laurel, sprouting up on a steep and rocky hillside called a ravine. That’s French for a violent rush of water and it describes the type of land that makes the shape of a vee, the landscape that forms around a narrow valley cut deep with a running stream. That’s exactly where I was, on a trail called the Ravine Loop. Away from the path, up the sharp banks of the stream? That’s why they’re so hard to find. They’re off the trail. …growing on the pitched and slanted shores of the Ravine Loop. It’s hard to get up here, rough going and slippery with rotting compost. I had to keep my eyes to the ground and so I noticed the small leaves popping out of the woodland carpet. These are the other kinds of trees. Big trees. …and here’s a tulip poplar. The big trees, they are a-coming. Some of them are already staking out their claim. Once they take over, they can choke out whole fields of sunshine, drowning out the understory with their high green canopy. They don’t leave much room for the smaller trees like the dogwood and the redbud, the crabapple and the hawthorn. …that small tree with the dark evergreen leaves and the crooked trunk. Its bark has a very stringy and shaggy texture, like an old frayed rope that’s been too many days out to sea. 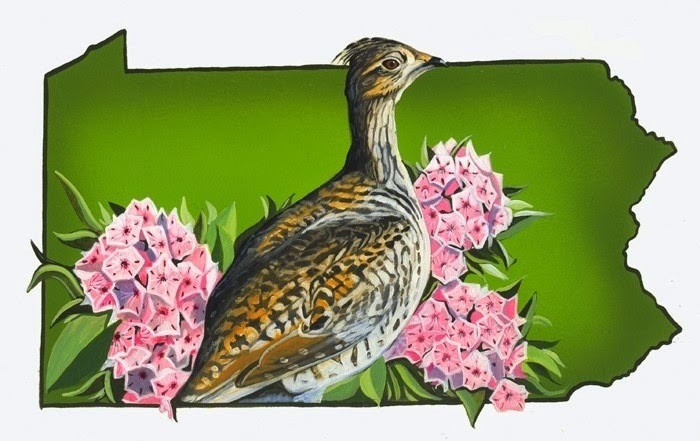 …usually depicted next to our state bird, the ruffled grouse. Their flowers grow in groups of twelve or more, they say, at the terminal ends of the branches, upright above the leathery leaves. From what I’ve seen in the field guides, the flowers are bright and showy, resembling little cups. Something found in a child’s tea party. They’re white or pink and each flower has ten long pistils, purple at the tips, that clamp down on the petals and push the flower open. Even more remarkable, they’re supposed to be a very action-packed bloom. They are spring-loaded, wrote John Eastman in his field guide for forests and thickets, and they actively bombard an alighting insect with pollen. …but I was too early. They were just barely budding. I’ll come back here next week to catch them in bloom but, by that time, this whole story called Philly Trees will be over. Of all the many things that Henry David Thoreau once said aloud or wrote down, there is one particular quote that has tormented and spooked the generations of nature-writers and tree-hunters to come. He wrote that down about halfway through his lecture, Walking. A few paragraphs later, he wrote: I believe in the forest, and in the meadow, and in the night in which the corn grows…Give me a Wildness whose glance no civilization can endure. Just the other day, I was driving towards Center City and I passed by the same idea, shouting to be heard. It’s an opinion that is and always will be a little outlawed. Many people are quick to note that Thoreau uses the word wildness and not the common term of the day, wilderness. He did it deliberately. He was being stubborn. He was stubborn, and deliberate, for a lot of his life. To Thoreau, wilderness was something invented by the Law, governed by a Mayor, a piece of land under ownership of the State. The modern day wilderness is paved and permitted, gated up for seasons, open only from dawn to dusk, guarded by a Police. The boundaries of a wilderness are always in dispute. Its title is something that can be repealed, rescinded or revoked. Its map is something that can be taken away, written over. You cannot stop the wilds. Yes, even here in the big city. 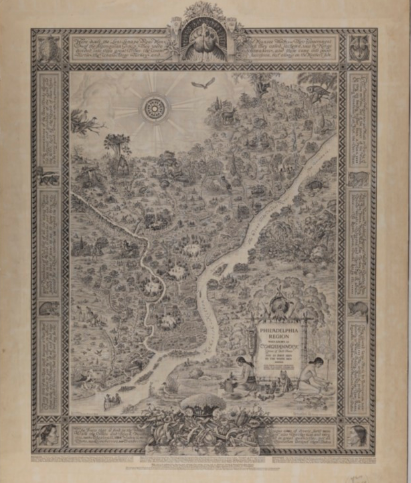 To prove it though, I’ll need to discover and explore Philadelphia for the palimpsest that it really is. What’s a palimpsest? It’s a manuscript or a document that has been scraped clean and erased, then replaced with something more modern but that still bears the traces of the earlier work. Sometimes in order to read the earlier work, historians and archaeologists need to flash the palimpsest through ultra-violet light, the only way to see what was written before. I don’t need that kind of technology. I just need the right kind of map. 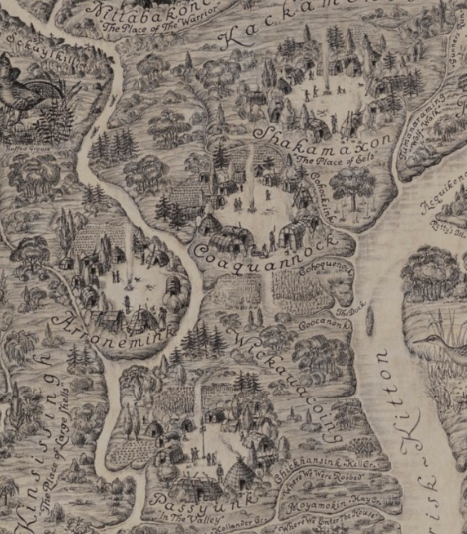 …when Philadelphia was known as Coaquannock, the Grove of Tall Pines. 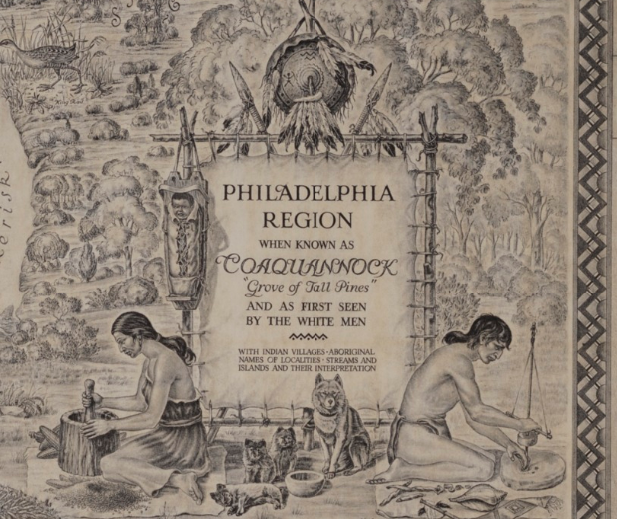 According to the map, Coaquannock was one of four circular villages of the Turtle Clan, all located within the watershed between the Schuylkill and the Delaware River. There’s no record, no description of the pine grove that it was named for. But, by the coming of the white men, the Lenni-Lenape had already been living here for thousands of years. It’s quite possible that they named the town in memorial of the pines, a dedication to the grove that was standing in some distant bygone era, same as we do now. People are always asking me: Hey, Jon Spruce, enjoying the weather? It sure is pretty to think so. In all actuality, this is my busy season, not much time to enjoy the weather. This is the time of year when I need to rise up the ranks, get my name out there as a contender for champion tree-hunter. Spring? That’s when I can really make my bones. And it all comes down to flowers. Years and years of steady watching, months and months of mindful observations, miles and miles under my feet and on my car and yet my whole reputation rests on those bright, brief modified leaves we call flowers. It’s almost too much for one set of eyes but, contrary to popular belief, you don’t have to do it alone. Like the old folk song says, help is on the way. And the best help this time of year? That’s right. The biggest help at this time of year is usually found high up in the cabs behind the big wheels of all those trucks making traffic here in the city. I’m talking about Bakemark and Aramark, Samuels & Sons and J. Ambrogi, Cintas Uniforms and W.B. Mason, plus all the other gypsy pilots navigating the Philly grid and barreling down the highways. Best set of eyes in the entire city. …and then plugged in the two-way microphone. Okay, all I got to do now is find the right station, adjust the squelch and speak clearly into the mike. Jon Spruce is back on the CB. Breaker, breaker, this is Jon Spruce over here in Phillytown. Need some assistance, boys. Who’s out there? The next part is easy. Just lean in and try to catch some chatter on the only free press left in the United States of America: the citizen’s band radio. Spruce, you old scallywag. Is that really you? Shiver me timbers, that voice is a real blast from the past. That’s Goldberg, my old co-pilot. I didn’t know he was in town. Alive and kicking, Spruce. Surprised to hear you too. I always pictured you still keeled over in El Paso. El Paso? Oh man, I spent a bad week there one night. Goldberg always did have a long memory. Hard to forget, Jonny boy. What’s your emergency? Need some flowers for the blog, chief. What are you seeing out there? You’re a lucky son of a gun, always have been, Spruce. I just passed some willows blazing away in Penn Park by the river. Willows? Goldberg always did have a soft spot for willows but I don’t know. I’ve already covered the willow. I need flowers, not willows. Quit your griping, Spruce, and get down to the river before it’s too late. You’ll thank me later. The rumors are true. I’ve sold out. Jon Spruce has officially signed on the dotted line. For two years now, I have meticulously and courageously hunted down and archived the kingdom of Philly trees but, behind the scenes, hidden from view, I’ve been bombarded and assaulted with endless requests for sponsorship. Landscape crews and tree services, nurseries and greenhouses, fertilizer companies and seed catalogs, you name it. Non-profits and charities, all good causes. Philadelphia institutions like Aramark and Tastykake, Sunoco, Comcast, Action News and Lew Blum Towing, all knocking down my door. All asking for a piece of the pie. For the last two years, I’ve always had the same response. I’ve finally found something that I can hang my hat on. Citybillies, it’s hanami time and there’s no better way to spend it than participating in the Subaru™ Cherry Blossom Festival of Greater Philadelphia. What is hanami? 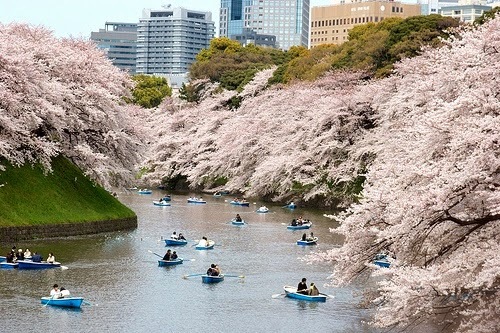 It means flower viewing in Japanese and it refers to the annual blossoming of the cherry blossoms, the sakura. 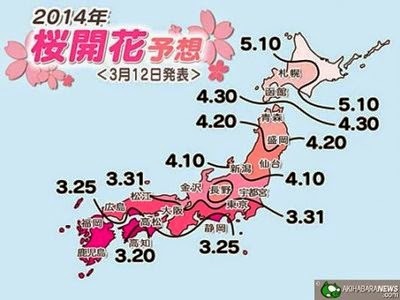 This event is so anticipated that even the Japanese Meteorological Agency tracks and charts the sakura blooms throughout the whole island. 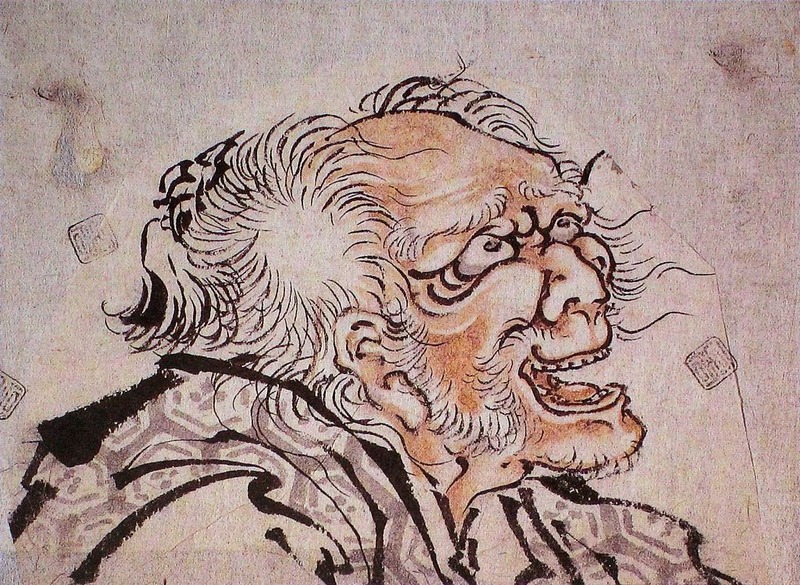 They call it the sakura zazen, loosely translated as the cherry blossom front. 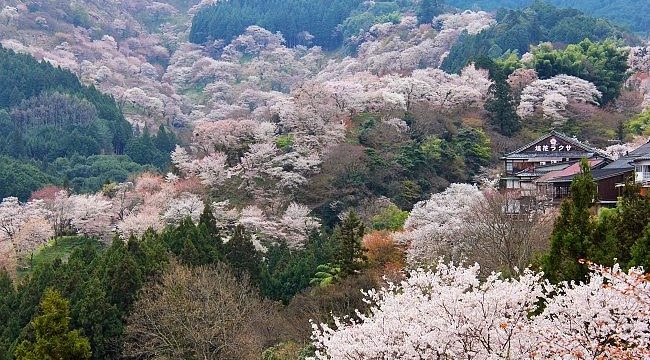 According to the map, the sakura are currently flowering in the southern part of the island, blazing their way from Kagoshima through the old capital of Kyoto and, by the end of April, they will have reached the northern tip of the Aomori Prefecture, land of apples and wild horses. Some people call it the pink tide. I long to see it in person. …the ephemeral floating world of early spring balanced against the immovable permanence of Mount Fuji itself. Now that’s my kind of yin-yang. Here in Philadelphia, we’re less than one week away from our own hanami. Hold on to your hats, citybillies, and get on up! The sakura are marching, cherry blossoms about to set the city on fire. …and then to the nearby cherry tree avenue that connects the House to the Mann Music Center. Less than a week away from the big bash and the guest of honor is hardly making a peep. …it is dredful to look at. It’s been a rough and cold couple months, a winter of record. It’s been a full-time job, maintaining against the season, but I think I finally got the hang of it. …although somewhere inside the urban igloo there’s still a considerable draft coming in. The most likely culprit? The air-conditioner installed in the eastern row of windows in the bedroom. On particularly drafty nights, I cover the box up with spare towels right before crawling into bed. Fresh food is scarce and getting scarcer. …one final spaghetti squash and one last acorn squash called a carnivale. Last week, the spaghetti squash’s stem snapped off all on its own, a sure sign that it doesn’t have much time left. Over the last few days, the carnivale has been developing a waxy residue over its orange mottled ribs, one last defense against the inevitable mold. I’ll have to eat them both soon or else they go to waste. Maybe I should move west. I woke up this morning and immediately checked my surroundings for any subtle, mysterious changes. Crawling out of the warm blankets, I shivered over to the kitchen window. Looked like the coast was clear and, although I wasn’t completely sure that the Code Blue had been lifted, it looked like it was safe to go outside again. The polar vortex had passed. Nothing had been shifted. Nothing seemed to have moved around too much, nothing transferred or relocated to some other dimension, some other time. For a vortex, this was a pretty weak one, by all accounts. That usually doesn’t happen after a good vortex. Well then, it’s back to normal, back to school, back to the rat-race. Lucky for me, it was a day-off but, day-off or not, I still had a long list to accomplish. For starters, I needed a haircut. And I needed to return a gift. Should I go for store credit or cash? So, it was up and at ‘em, just enough time for one quick goat yogurt cup and one Gold Rush apple…then a quick freshening up in the bathroom…got to re-stock the toiletries too…then it was bundle up and boots on, grab the wallet and grab the keys and out the door. …this was the most depressing trash day of the year. You can’t let this kind of thing push your buttons. Not today, Jon Spruce. Too much to do. …though that’s easier said than done. You know, I was off to a good start. It was still early morning and I was already…how do they say it? That’s right. I was making good time. …just a quick pit-stop to watch the people clean up from their jolly holiday. That’s my new mantra when it comes to this kind of thing. New year, new Jon Spruce and the new Jon Spruce isn’t going to get angry so easily. I’ll give the people their credit though. If they were trying to fire up old Jon Spruce, they were on the right track, but not this time. This time, this year? I’m just going to stick to the schedule. Not. Going. To. Get. Mad. Hey, it worked. I think I’m going to like 2014. So it was back in the car, back on the road and, since I’m being such a good boy this year, I was going to treat myself to a new pair of sneakers. Funny thing about shoe shopping? I’m always looking for a new sneaker. I never just replace the ones I have. Even if I really like my old sneakers, I never go back and buy the same pair, don’t know why I do that. On my way to the sneaker shop, I pulled over for another quick distraction, watching a tough group of weather-beaten men repair an elm tree. …just me and the tree, all the live-long day. But things don’t always work out the way you want. You got to be able to deal with that. Sometimes, you don’t end up where you’re supposed to be. Like that poet from Vermont once said, there are two roads in a wood…diverging in the yellow wood…and then you go down one road and, when you look back, you can’t even remember where it was they diverged…way leads on to way…or something corny like that. There’s a trick to not letting this kind of thing get you down. It’s called moving on. And that’s what I did, popping it back into first gear, back on the schedule, the busy busy schedule. It wasn’t just me. The whole city was busy. That’s what happens after a deep freeze. 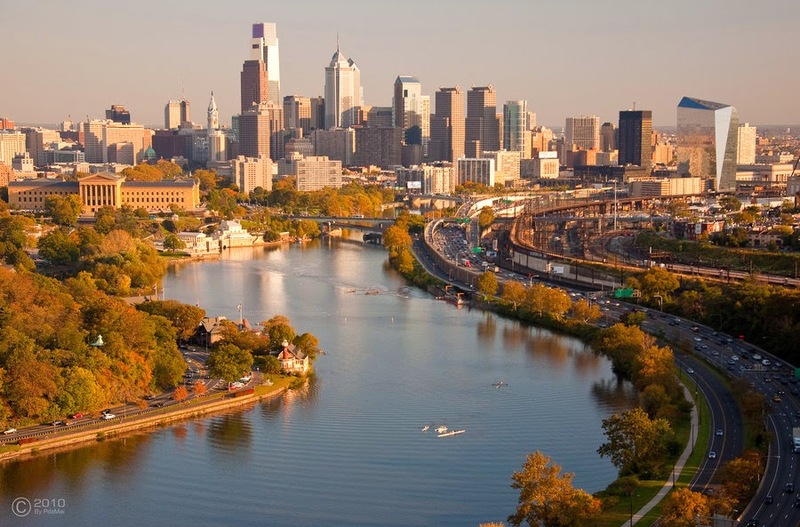 You can see it all around Philly, up and down the grid, just pouring out of every city block. You see that steam? That’s the good work of a company called Veolia Energy. …thawing out the city from the bottom up. Way to stay on schedule. Speaking of which, it was almost the afternoon and there was still lots to do, still needed to return that gift, still needed to sit down for a hair-cut, still needed to find that new sneaker. Right around the corner, I stumbled upon a CVS Pharmacy. It isn’t hard to do here in the city. I bit the bullet, put on my best grin and went inside. Restocking the toiletries was on my list, I’ve done this chore a hundred times. While I was in the CVS, I remembered another errand nagging my list. Two weeks into the New Year and I still hadn’t bought a new calendar. Well, that must be nice. Must be nice to have such beautiful nature right at your fingertips every day. I shouldn’t be so hard on the calendar makers. After all, they need to make a living and people do like to buy perfect photos of perfect scenery in the right season with the right light. This is not something that should bother me. So, no problem, it’s not going to bother me. And, right across the aisle, I shouldn’t let myself get all worked up over the next big holiday. Back in 2013, this kind of thing would really trigger a meltdown. Not this time. Not this year. Hey, I’m as romantic as they come. I believe in love. For me, love comes in big, capital, goofy letters, glowing under a bright spotlight, and it doesn't matter if it's written in the skies or written on a greeting card or even written on the belly of a gigantic mass-produced teddy bear. You just got to mean it when you say it. Contrary to popular belief, I do think there’s a person out there for everybody although, sometimes I have to admit, I think mine got hit by a truck many, many moons ago. Not going to let it get me down. Can’t let that kind of thing take me off-course. Can’t lose what you never had, that’s my motto. Now where was that toothpaste? And where was that razor blade? I saw a razor blade commercial a couple weeks ago during the Wild Card game and I remember thinking, now that’s my kind of razor blade. …that’s funny. I bet ice isn’t the biggest seller this time of year, eh? Let’s see what we got here. Arctic Glacier. Man, that’s a great name for a bagged ice vendor. The name alone sends shivers down my long johns. These guys really know what they’re doing. Who’s making this ice? Oh. Okay. Ice is food! I guess I never thought about it long enough to have an opinion on the subject, and I always did think of food as having some sort of connection to some sort of biological organism, at least something that can reproduce and respire, something that can eat as well, something that lives and, sad to say, dies. But, sure, ice is food. I’m a believer. I shouldn’t just automatically reject a new idea. That’s not what smart people do. Ice is food, just as much as you and me. Hey, this feels good. New year, new idea. Man, who are these guys? Is it too much to ask for some local ice? Is there no one in Philadelphia producing ice?